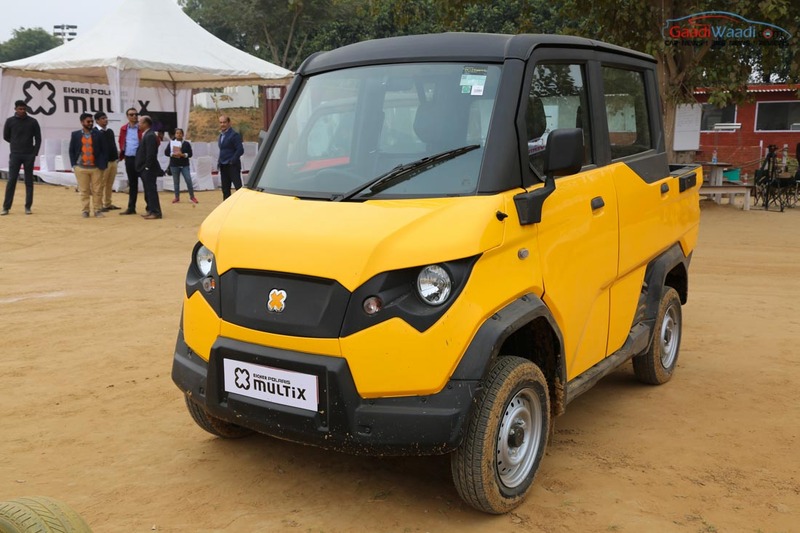 Eicher Motors and Polaris Industries launched the BSIV compliant Multix personal utility vehicle in October 2016. 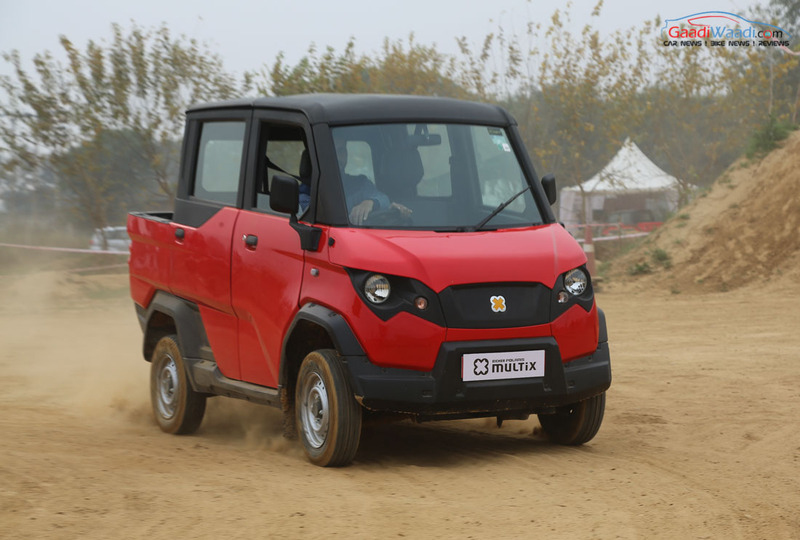 It can be incredibly customised according to users’ preference and has an ex-showroom price tag of under Rs. 3.5 lakh. It focuses on high fuel efficiency, an unique ability to power other machinery while being practical. 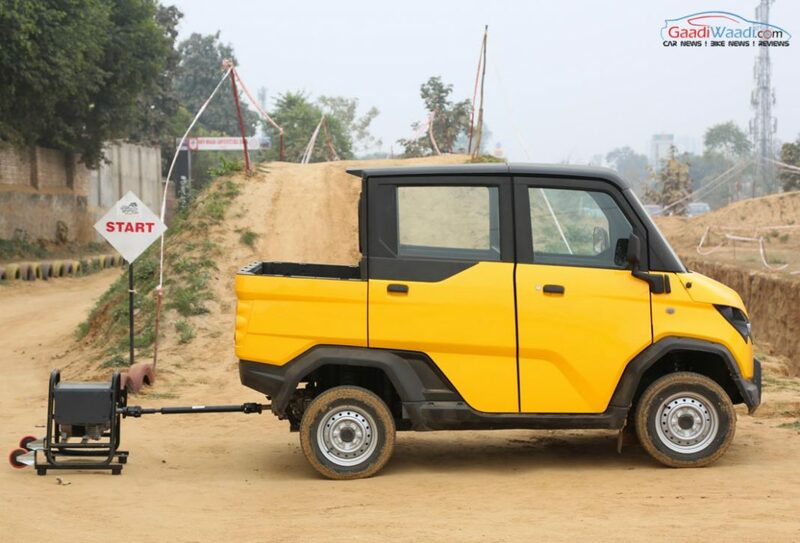 The defined segment of personal utility vehicle has a idiosyncrasy to itself as the Multix caters to the demands of usable light-purpose commercial vehicle and can perform the task of people carrier on daily basis. The customers do not have to register it as a CV and instead it slots under the regulations of passenger vehicles. 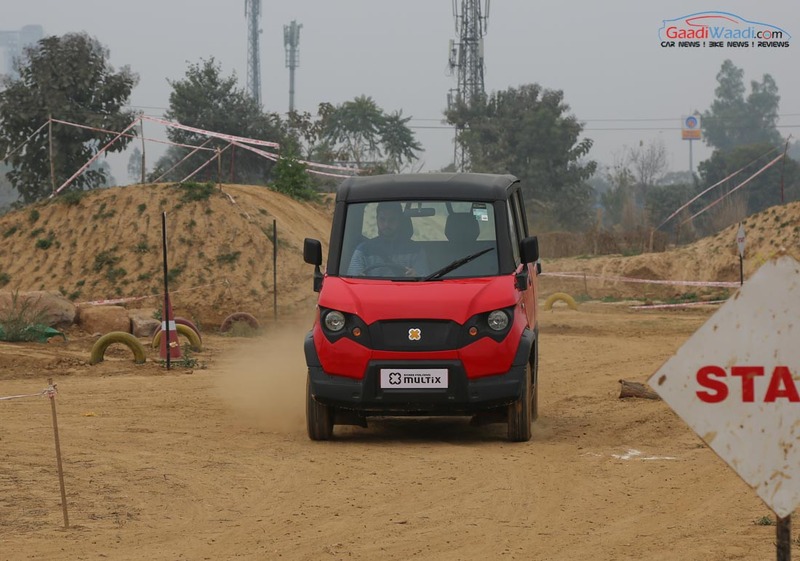 Another big advantage the Multix offers is it can be used as a regular four-wheeled personal family runaround. All in a small package that can be modified as the owner would wish for based on the requirement. It is in short a three-in-one vehicle as it can help in people travel, act as power generator and in fact move goods from place-to-place. 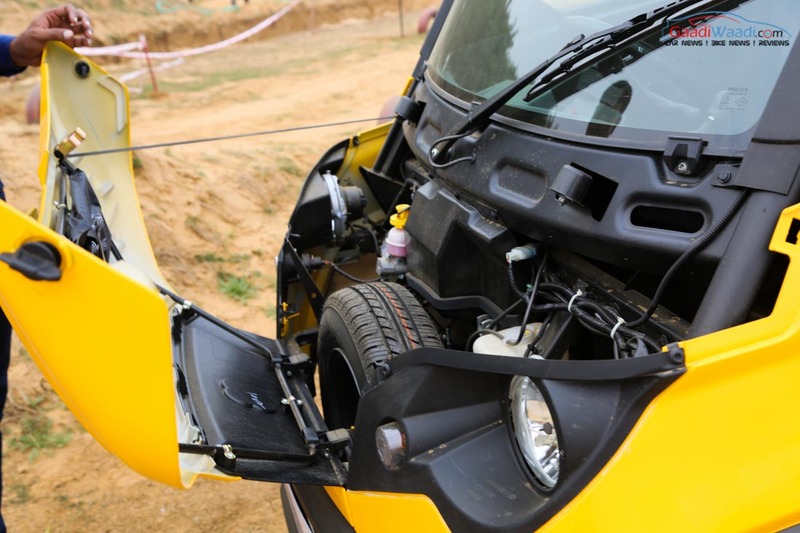 Consumers in the Indian market would like to use their personal vehicles for multiple purposes. For instance, we do tend to use our cars for moving goods particularly useful in small businesses. 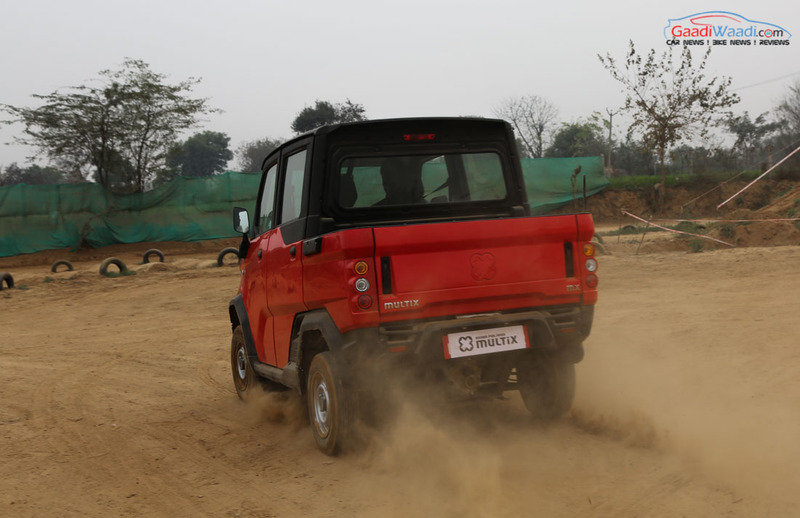 Eicher Motors would have thought of a perfect solution and thus partnered with global ATV experts Polaris. The result is none other than the Multix model which is sold in two variants namely AX+ and MX. Targeting the masses, this purpose-built vehicle will be transforming the lives of small businessmen by enriching their productivity and profit, as we would think, in the vast rural and sub-urban areas of the country where no proper road network is available to exploit. The Multix is a profoundly new initiative which would certainly help shopkeepers, vegetable vendors, milkman and so on. X-Port is a power take-off unit that helps Multix in generating 3 kW of electricity and is mounted on the transmission. It can be used to power electrical equipment, mechanical water pumps, music systems, winnowing fans, chaff cutters, etc. 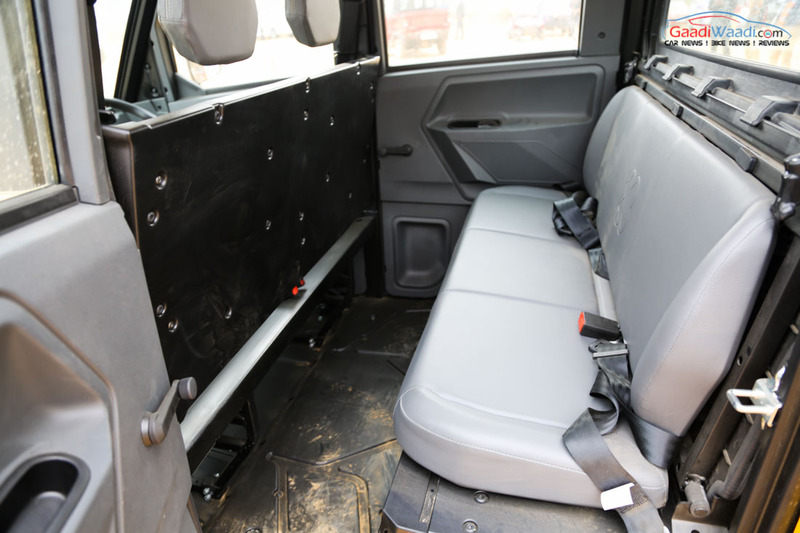 From giving provision for five to sit, the Multix can be converted in just handful of minutes to a goods carrier by dislodging rear seat, unfold and fix it on the floor and for ample carrying space the rear cover has to be removed. 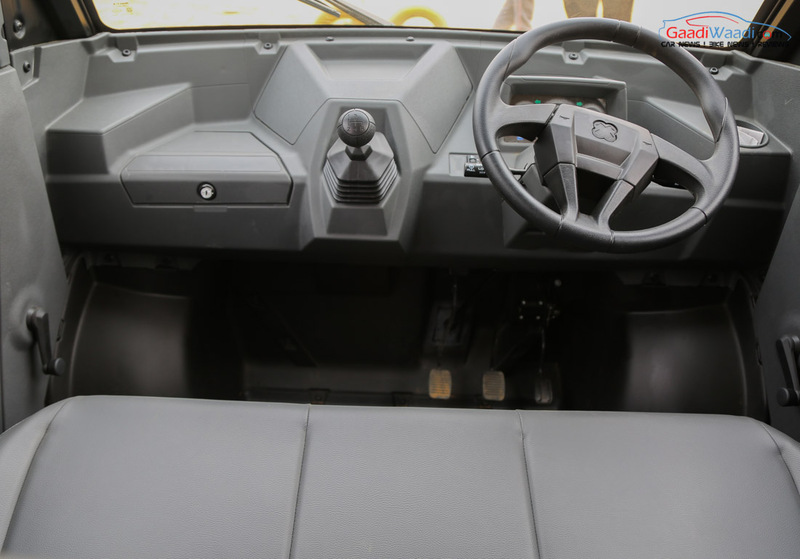 The Multix has a high ground clearance of 172 mm while the legroom stands at 122 mm to ensure enough cabin space for five people. 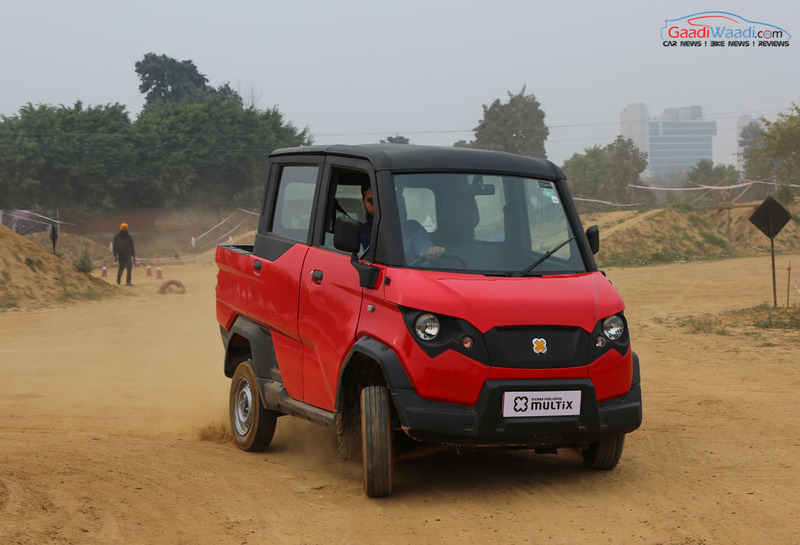 To keep the costs down, it does miss out on power steering, disc brakes and air conditioning but the fact that it is purpose built to stay practical raises the bar certainly high. 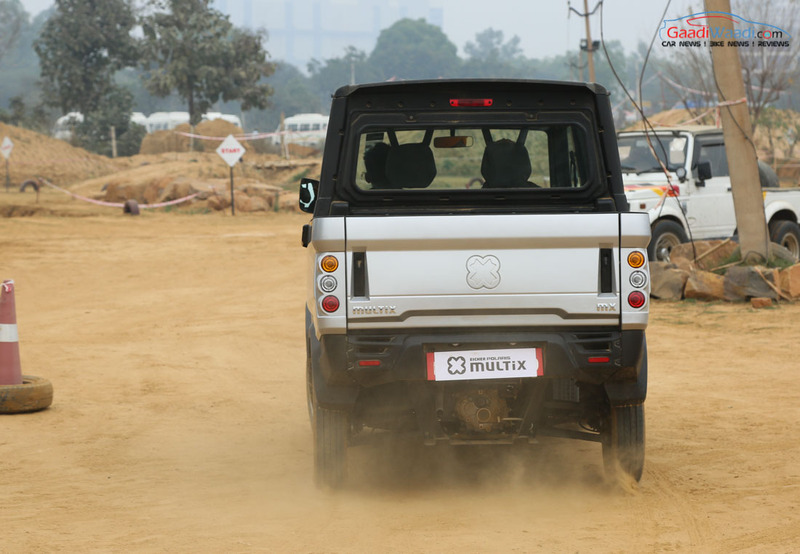 For the betterment of ride quality and handling during heavy loads, the Multix is built on a durable tubular frame structure and the safety quotient is emphasised by roll-over protection system. Each wheel is supported independently of the others for suspension to absorb bumps and provide a smooth ride quality. 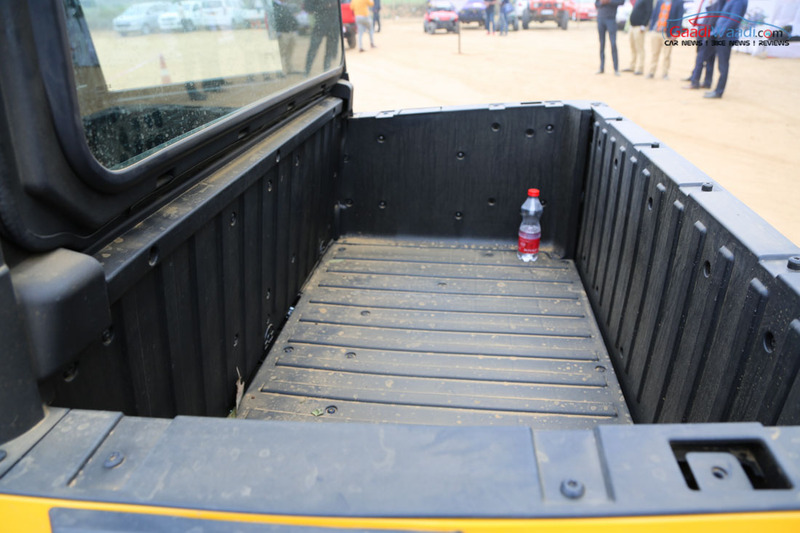 Alongside the pro-ride independent suspension, last but not the least feature is the 510.7 cc BSIII compliant single-cylinder water-cooled diesel engine delivering a claimed mileage of 28.45 kmpl. It makes 9.79 bhp and 27.1 Nm of torque and is mated to a four-speed manual gearbox.